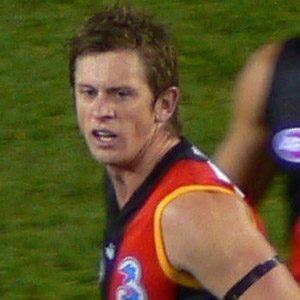 Australian Rules Football player for the Essendon Bombers from 1998-2007. He played for the Eastern Ranges U18 team, before being the 4th pick in the 1997 draft. Immediately following his football retirement, he became an executive director at an organization that aids homeless youth. He spent his football career living near his family in Australia. He played his final years alongside star Jobe Watson.